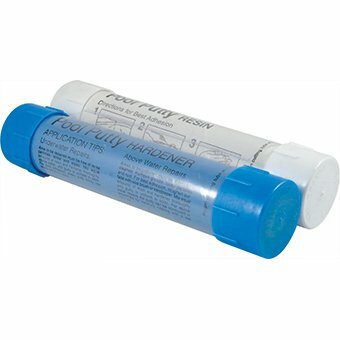 Epoxy pool putty, 14 ounce set. Typical applications: Stop leaks, fill cracks and restore chipped tile. No need to drain pools and cures under water, simple 1-to-1 mix. Will not yellow, shrink or sag. Stops leaks and repairs concrete under water. If you have any questions about this product by Pool Putty, contact us by completing and submitting the form below. If you are looking for a specif part number, please include it with your message.